The Samsung Galaxy Note 2 may be a couple of years old, but a new custom ROM shows that there's still plenty of life left in the old dog. 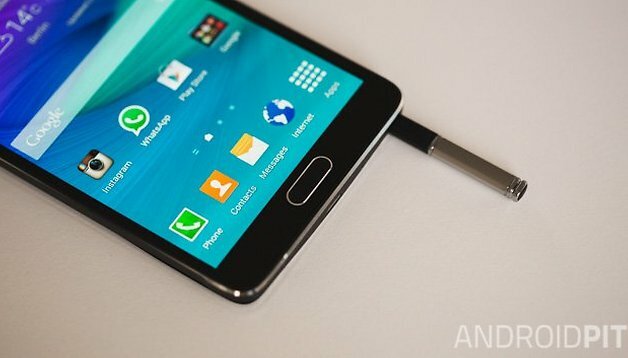 Thanks to an enterprising group of developers known as Team Electron, there's now a new ROM available for the Note 2 that being many of the features of the Galaxy Note 4 to the older phone. If you're willing to root your device and get a little hands-on with flashing, you can transform your Note 2 into a Note 4. The DN4 (Ditto Note 4) ROM for the Note 2 is based on an Android 4.4.4 KitKat ROM ported from the Galaxy S3. It brings features such as the Note 4's Air Command and Action Memo in addition to the updated UI and makes the S Pen more useful than ever. Other features such as multi-window mode are also present, as are newer Samsung-specific apps. The ROM is not completely perfect. One of the lockscreen effects doesn’t work properly, there are problems with Bluetooth audio, and the Radio FM app doesn’t work. These minor things aside, the ROM essentially makes it possible to transform a Note 2 into a Note 4, breathing new life into the phone. Head on over to the XDA Developers forum where you'll find the download and full instructions. Have you tried installing a custom ROM on your phone or tablet? What do you think of the DN4 ROM for Note 2? Does this work on a Canadian Wind carrier phone? It works for Note 2 SCH-I605 VRAMC3 ??? Will there be updates given to fix the problems or must i have to install a newer version of ditto note (most probably DN5)??? I have DN3 on my Note 2 and it works great. I used Titanium Backup and froze the radio apps as well as some of the other features I don't use in order to cuthe down any extra power drain. It would have been nice if DN4 came out sone so I could be running 4.4.4 not 4.4.2, but I think I will hold off a few before I upgrade. Maybe wait until the DN4 is running off of Android 5. Can I install it on my note 3?